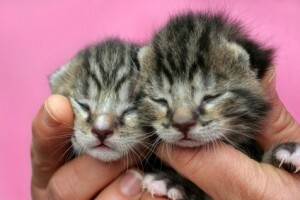 A landlord in Halifax discovered that a tenant was hoarding more than fifty cats in a one bedroom apartment. According to a news report, the tenant was cooperative in surrendering the cats to a nearby animal shelter. The report states that the landlord will allow the tenant to remain in the rental home with one cat. Officials at that shelter report that the hoard includes adults and a number of kittens. A pet policy or lease provision alone may not dissuade a tenant from hoarding, but setting clear limits on the number of animals allowed, coupled with frequent property inspections may minimize the impact of such activities on the rental property. The shelter, the Disaster Animal Response Team of Nova Scotia, says its resources are stretched caring for such a large number of cats, and it is asking that sympathetic persons donate money for the care of the animals. Visit the DARTNS website or on Facebook for more information. Next post: How Often May Landlord Visit Rental Property?